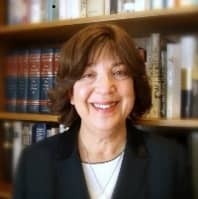 In a Nutshell: Linda Abraham’s time spent obtaining her MBA from UCLA’s Graduate School of Management led her to start Accepted.com — but not in the ways you may think. Despite a top-notch business education, Abraham most enjoyed her undergrad work as a writing tutor and helping her fellow students craft résumés and cover letters. Years after graduation, she put those skills to use with Accepted, which consults with around 800 students from around the globe each year to compose résumés that have been approved by some of the top graduate school programs in the world. Accepted’s team of consultants works with clients on each step of the application process using their years of experience to include the information most admissions officers look for in a prospective student. Linda Abraham obtained her MBA from UCLA’s Graduate School of Management in the late 1970s. As an undergrad, she supplemented her income by serving as a writing tutor and helping students compose résumés and cover letters. Little did she know that the side job would ultimately lead her to a greater purpose. By the early 1990s, her real estate career was on hold as she raised a family. During her sporadic downtime, she brainstormed businesses ideas that would be enjoyable and still work within the framework of her family life. Her thoughts kept going back to the time she spent tutoring writing. 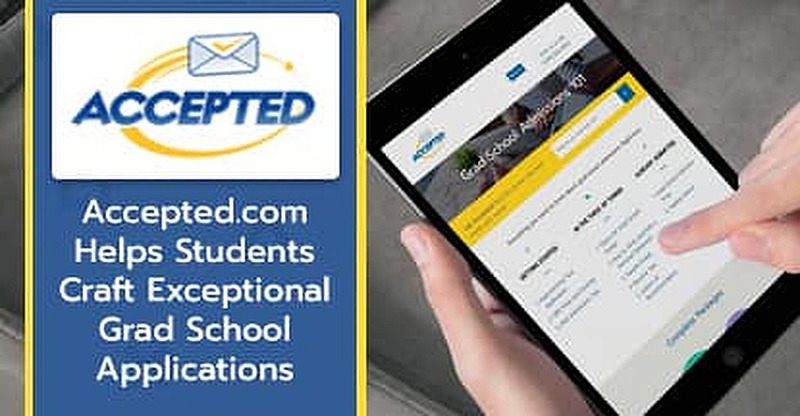 Accepted.com began as Linda Abraham and Associates in 1994 to help students craft applications that gained them acceptance into top college programs. Not long after founding the business, though, she realized her name didn’t offer many branding possibilities. The internet in the mid-’90s was very different than it is today, when good domain names are now nearly impossible to find for cheap. A quick search back then showed Accepted.com as available. The rest is history. “Over time, the focus of the company changed from the personal statement, or goal statement, to more of an admissions consultancy and supporting the process from the time someone has a GPA and a test score,” she said. Today, Accepted consults with hundreds of students from around the globe each year to prepare successful applications for admissions to institutes of higher learning. Abraham has personally helped students gain entrance to prestigious programs at Harvard, Stanford, Wharton, Columbia, Kellogg, and MIT, while her staff of consultants has helped students get accepted to top colleges worldwide. While Accepted’s consultants help with admission to most major programs, their success with business school and financial education clients is impeccable. Abraham and her staff help hundreds of students each year reach their goals. Though most of the applications they consult on are for US colleges, she says her client base has diverse backgrounds and experiences. Linda Abraham is the Founder of Accepted.com. Accepted’s one-on-one consultancy remains its main service offering, but the company also provides a wealth of free tools and information designed to help students in all stages of their educational career. For international clients, Abraham and her staff perform face-to-face meetings via popular internet programs like Skype, Google Hangouts, and FaceTime. The business and finance fields remain two of the most competitive sectors of today’s working world. Competition in the field starts in college, where applicants to top schools take every advantage they can to one-up each other in the eyes of college admissions officers. Abraham uses her own experience of attaining an MBA from UCLA, as well as numerous consultancy jobs with business and finance students, to help her clients stand out. The skills necessary for aspiring investment bankers vary slightly but still require balancing quantitative and qualitative abilities. Accepted also offers a free guide, “Prep for B-School: A 4-Year Guide for College Students & Recent Grads,” for students thinking about going into business, but who are still four or five years away from applying for MBA programs. The guide provides a comprehensive layout of what is needed for students to meet the admission requirements for most schools. Abraham suggested students considering a future in business seek an internship around their sophomore or junior year of college to begin compiling the necessary experience and to see if the work is interesting to them. “If you’re aiming for the more quantitative degrees, like a Master’s in Finance or a Master’s of Data and Analytics, the internship is very important both to test your interest in that field before you invest in that degree, plus the schools and employers want to see you’re serious about it and have previous experience in the field,” she said. Abraham also pointed to in-school programs that offer experience if traditional internships are hard to find. Abraham and her team of consultants have helped thousands of students get a head start on their graduate school success. The experience Abraham has gained since establishing Accepted.com in 1996 has helped her become a regular speaker on the college circuit. Wherever she goes, she leaves students with one piece of simple, yet vital advice. Around 800 students hire Accepted to consult on their graduate school applications each year. The company works with students to craft successful essays, short-answer questions, and other application components that are praised by the largest programs in the country. So while it’s been a few decades since Abraham left UCLA with her MBA, she hasn’t strayed far from college campuses, where she regularly helps students get their own head start on life.